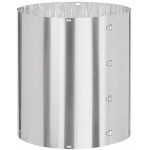 VELUX Sun Tunnel Rigid Tunnel Extension for TGR/TCR/TMR/TLR 14" Skylights - 6 Ft.
VELUX Sun Tunnel Flex Tube for 14" Sun Tunnels - 12.5 Ft.
VELUX Sun Tunnel Rigid Tunnel Extension for TGR/TCR/TMR/TLR 14" Skylights - 4 Ft.
VELUX Sun Tunnel Rigid Tunnel Extension for TGR/TCR/TMR/TLR 14" Skylights - 2 Ft.
VELUX Sun Tunnel Rigid Tunnel Extension for TGR/TSR/TMR 10" Skylights - 2 Ft.
VELUX sun tunnels are innovative skylights that bring natural light to spaces where it would be otherwise difficult or impossible. Using a clever reflective tunnel system, a VELUX sun tube redirects sunlight from the outside of the home or building into the living space. This is most commonly used for dark spaces like basements, laundry rooms, bathrooms, and hallways, though there are many applications for VELUX roof tunnels. These VELUX products make a room brighter, enhancing comfort and the mood of the people in it. Plus, they do so without the need for electricity, making it an elegant and energy-efficient solution to dark spaces far from windows and natural light. The VELUX sun tunnels shaft and flushing are insulated and weather proof, which ensures that the installation doesn't affect the energy efficiency of the home's HVAC system. 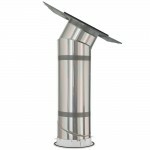 In order to fit many different installations, VELUX solar tubes are available with plenty of options. Flashings are available to accommodate different roof slopes, whether flat or pitched. Furthermore, low profile flashing are unobtrusive to the roof line, whereas a pitched flashing offers better capturing of the daylight. A VELUX sun tunnel skylight can also come with a rigid or flexible tunnel. 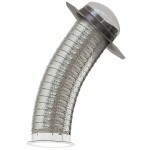 Flex tunnels are very easy to install, especially in attic applications. 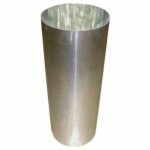 On the other hand, rigid tunnels are more durable and better for straightforward installations. 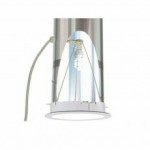 Other variables include the size of the VELUX sun tunnel tube and the lens type. 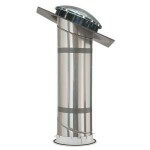 The diameter of the VELUX sun tunnel can be 10", 12", 14", or 22". The choice depends on how much light is desired in the space. The diffuser type can vary between frosted, prismatic, and Fresnel lenses. Each has its own aesthetic benefit. 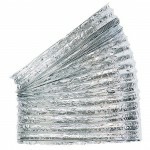 We also offer a large selection of VELUX roof tunnels for commercial use. These VELUX sun tunnel skylights are ideal for flat or low slope commercial applications. Dark spaces in schools, warehouses, and even retail spaces can benefit from the installation of an energy-efficient tube skylight. 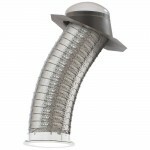 Westside Wholesale is an authorized retailer of VELUX sun tubes, kits, and accessories. We stand strongly behind VELUX's durable, effective, and innovative light tubes. 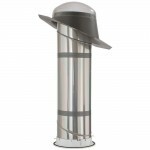 For help tracking down the correct VELUX solar tube for your home or commercial space, feel free to contact a member of the Westside Wholesale team.